Because Apple Cake French Toast is bae. A burger and fries will set you back at about nine dollars. It’s a huge portion, as you can see. Their most expensive menu item, which is Lobster Benedict (yasss), is just $11.99. 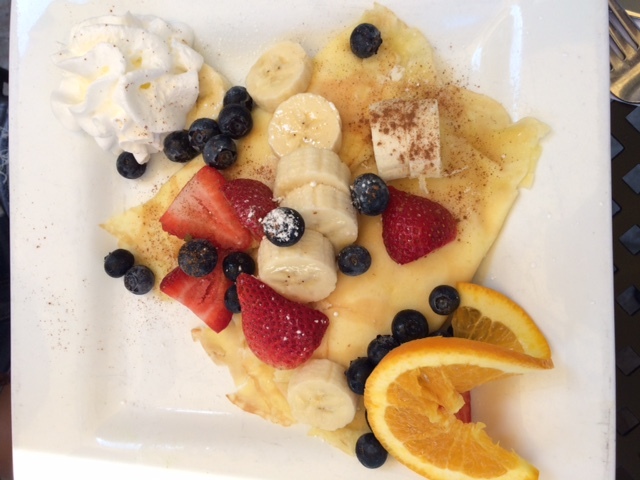 Egg platters are $8 and up, and pancakes will set you back at about $7. For those that are vegetarian, there’s plenty of great choices. Try the Greek Wrap, which has Portabella mushrooms, roasted red peppers, eggplant, chick peas, feta cheese, diced tomatoes and chopped romaine lettuce with garlic mayo in a flour tortilla. Their award winning Belgian waffles are available gluten free. Kids also love coming here for all of their sugary breakfast options (and adults do too). You can order online and pick up your food at the counter! So you can eat whatever your heart desires and if you don’t feel like talking to someone on the phone, well, problem solved. 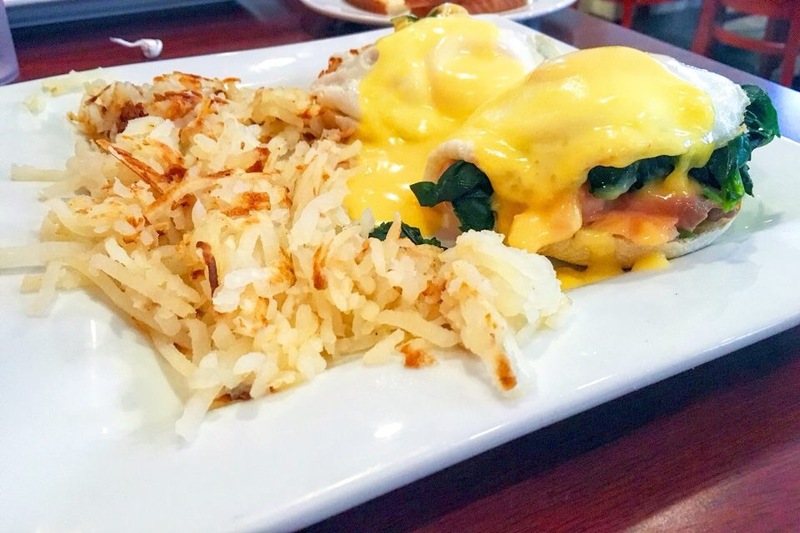 Pictured here is Salmon Florentine. 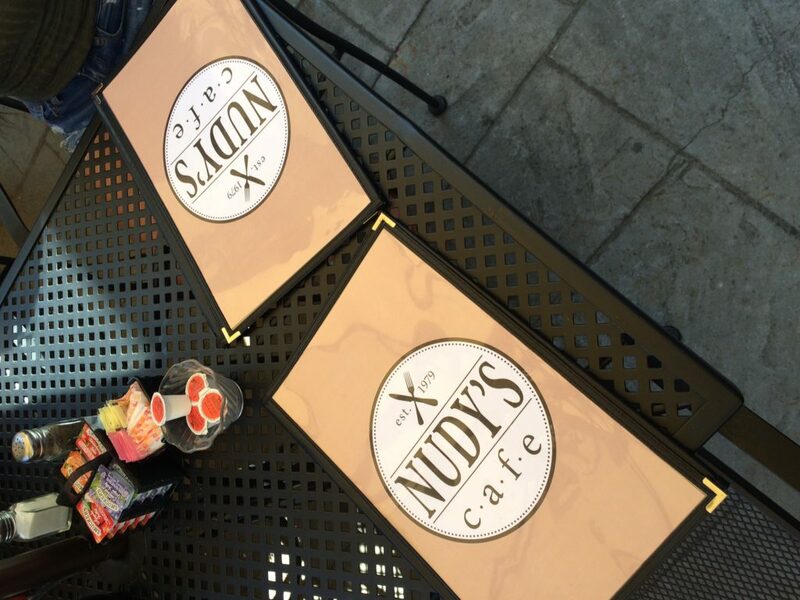 Nudy’s is basically a fancy diner. Some great unique items they also cook up are are Cinnamon Bun Pancakes, Pumpkin Cake French Toast, and Crab Benedict and Potato Pancakes. 5. You can get French Toast and Tacos in the same place. 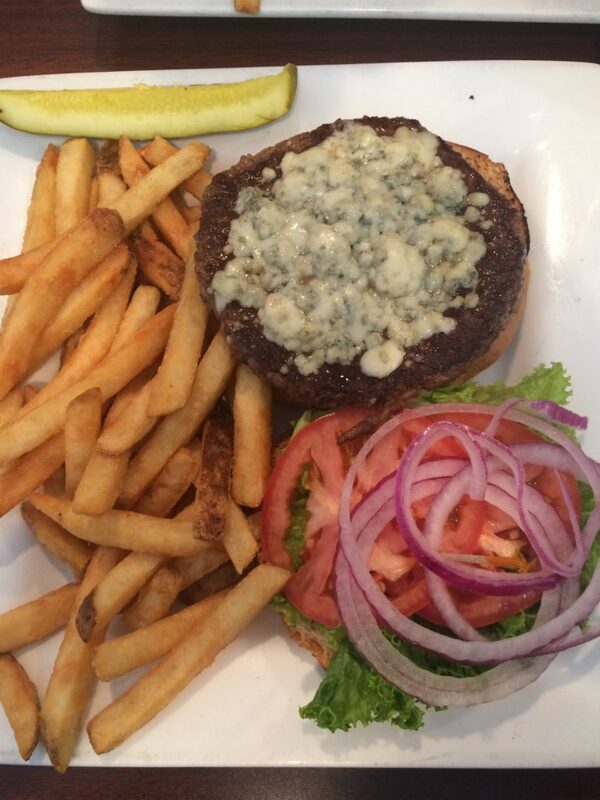 No matter what you are craving, Nudy’s has it. If it’s nine in the morning and you want fish tacos, you got it! All of their menu items are served throughout the day. There’s a few tables outside that are surrounded by tons of beautiful flowers and shade. Therefore, weather permitting, you get to dine under the umbrellas. It’s quite nice and very picturesque. One of the great things about Nudy’s is their friendly and fast service. Expect to get your delicious, hot food in 10 minutes or less. And don’t worry- they always get it right the first time. 8. Apple Cake French Toast… That’s a reason to go on it’s own. 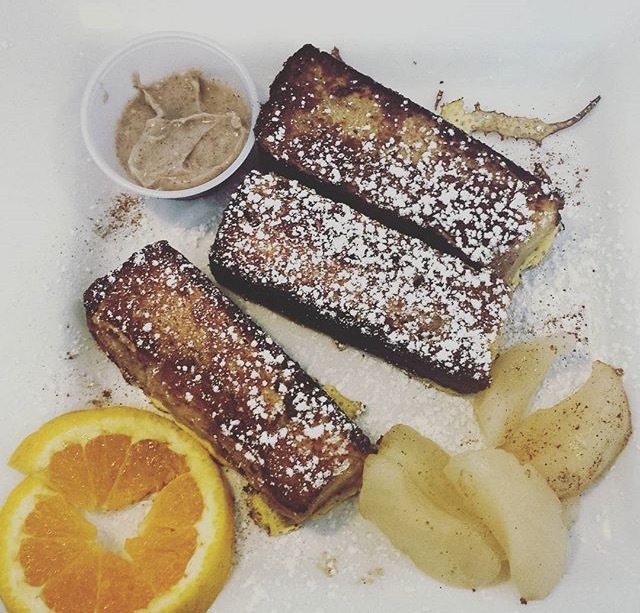 Served with cinnamon sugar butter, Apple Cake French Toast is a specialty at Nudy’s cafe. What makes it so great is that it is lightly dipped in batter and served with powdered sugar and a side of apples. 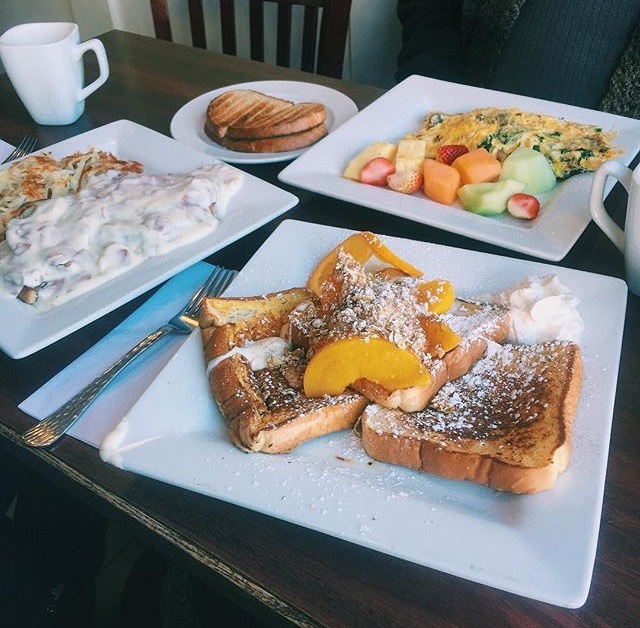 There’s plenty of places to grab great brunch in West Chester, but Nudy’s will always be a staple. 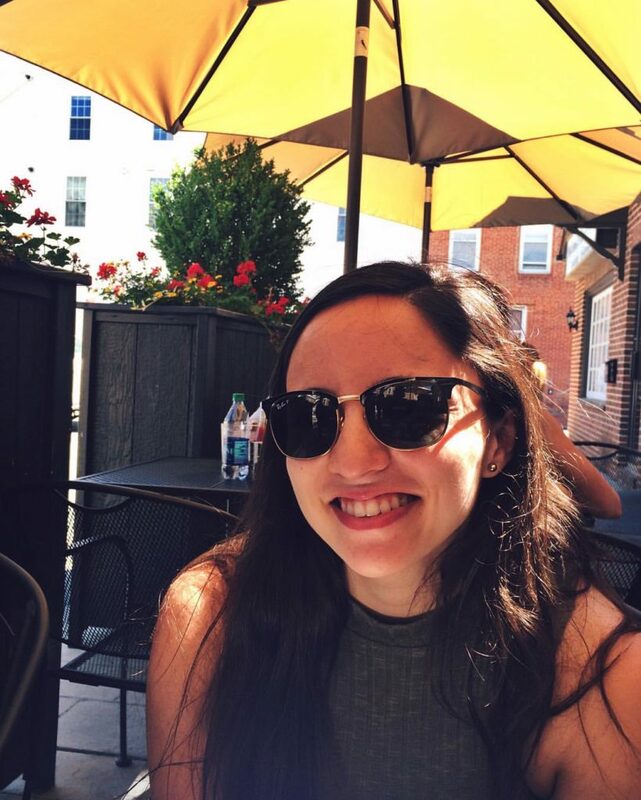 Be sure to also check out other wonderful cafes around town, such as The Roots Cafe and The Lincoln Room.